As I mentioned in my last post, I have a soft spot in my heart for garage sales because you never know what you're going to find. 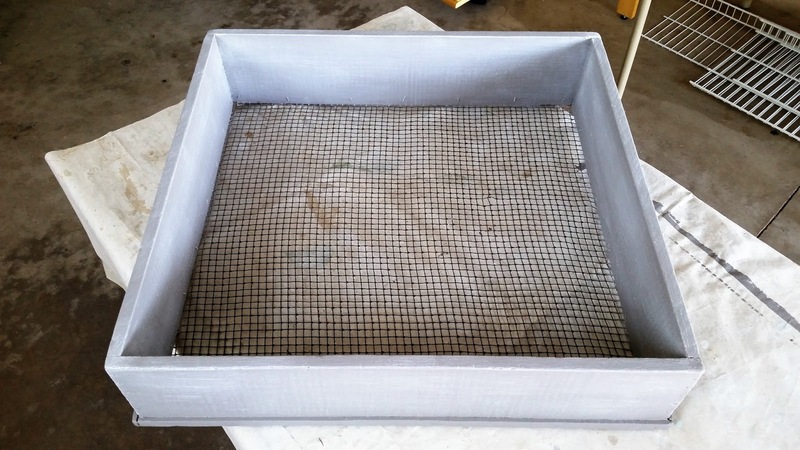 Take this wood-and-wire-boxlike-sifter thing, for example. I found it at a garage sale, and I had no idea what it was. I simply knew that it was interesting, and that Joanna Gaines wouldn't have passed it up if she had spotted while antique shopping in Waco. So, I offered $2 and walked away as the proud owner of... whatever it was. Eventually, I figured that the best way to re-purpose the box would be to use it as a decorative shelf, and even better, I knew just the place to hang it. 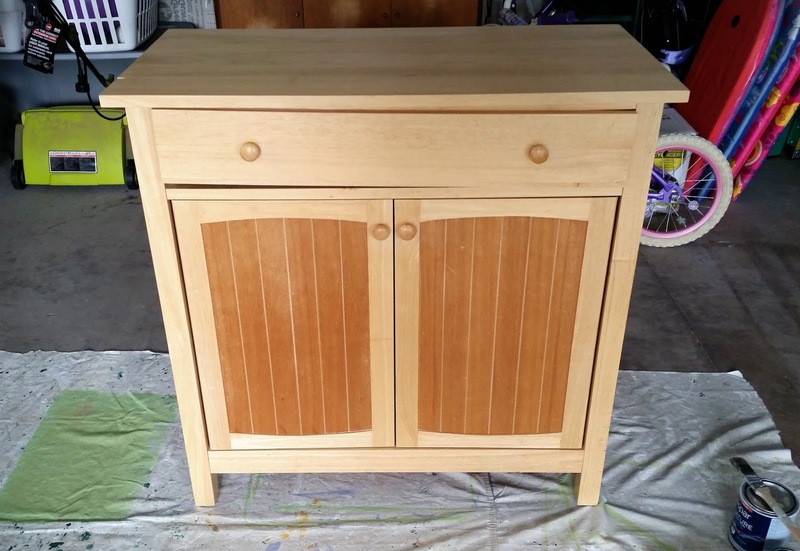 Earlier in the summer I refinished a simple wooden cabinet that Joel and I had purchased at Target shortly after we got married 16 years ago. 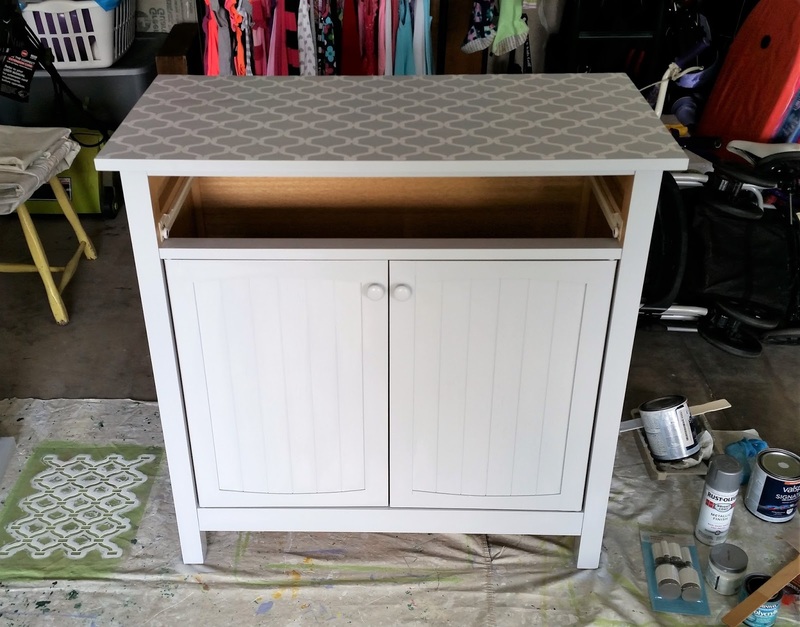 The cabinet had been sturdy and solid, yet bland, so I reverted to the easiest solution: paint. 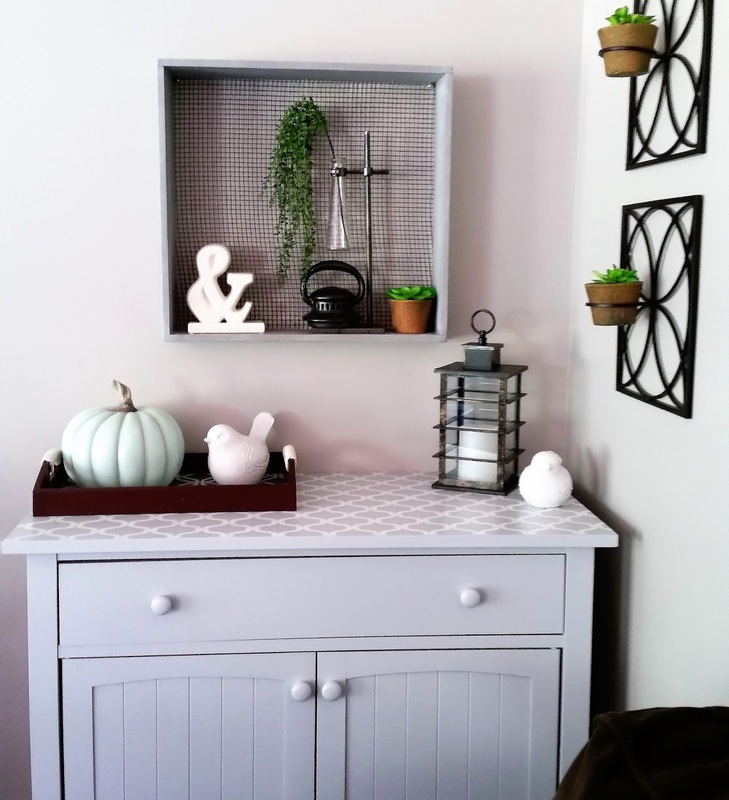 The piece looked more polished when its original finish was updated with dove-gray paint, and as an added touch, I completed the piece with a lattice stencil pattern. 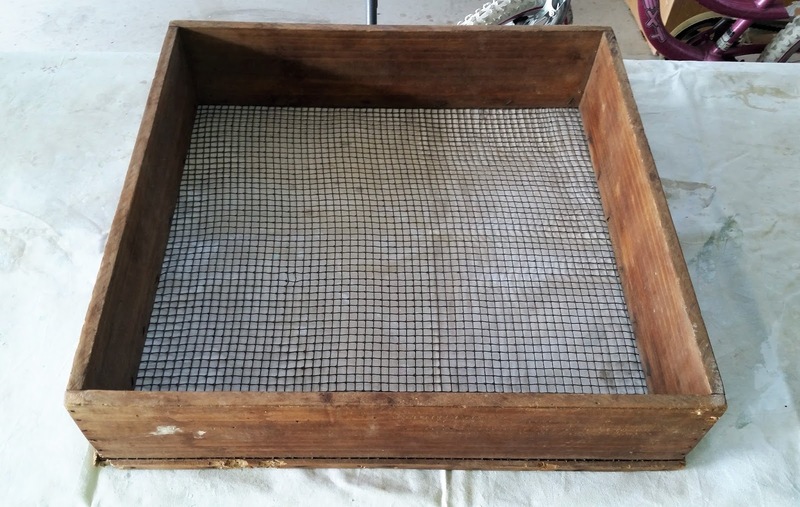 After positioning the cabinet into a corner of our family room, I knew that the garage sale box-sifter would be a perfect compliment to hang above it. 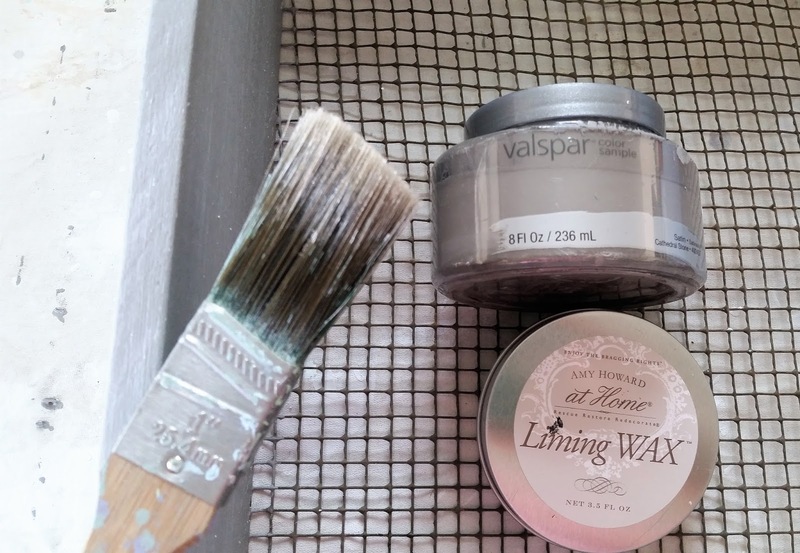 Using a Valspar paint sample from Lowes (Cathedral Stone), I painted the box a slightly deeper shade of gray than the cabinet. Then, to add texture, I applied a light coat of liming wax on top of the paint. Using short strokes (and an old paint brush), I tapped the wax in parallel strokes and then gently buffed it until the wax resembled wood grain. The result? 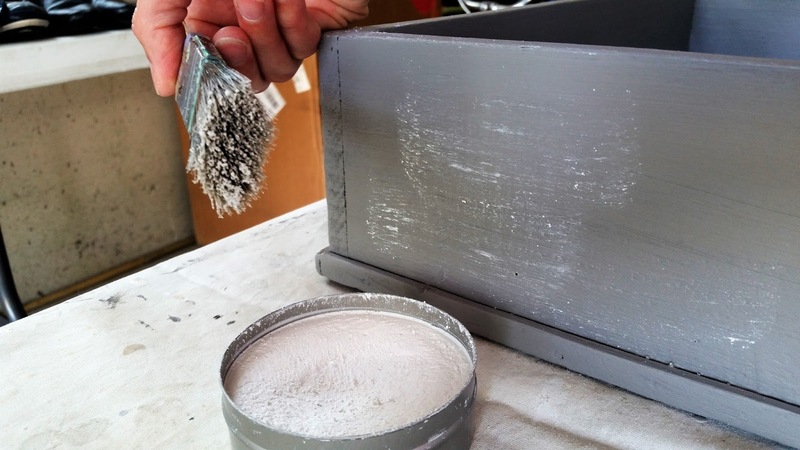 A soothing weathered finish that looks more like a stain than an opaque paint. I hung the finished box above the cabinet and accessorized with simple accents, like my newly-upgraded tray, a white ampersand figurine (TJ Maxx), a black metal lantern (purchased at a garage sale for $1), several faux succulents (found on clearance at Michaels craft store), and geometric wire metal wall hangings (given to me for free at a garage sale because the original vases were missing). 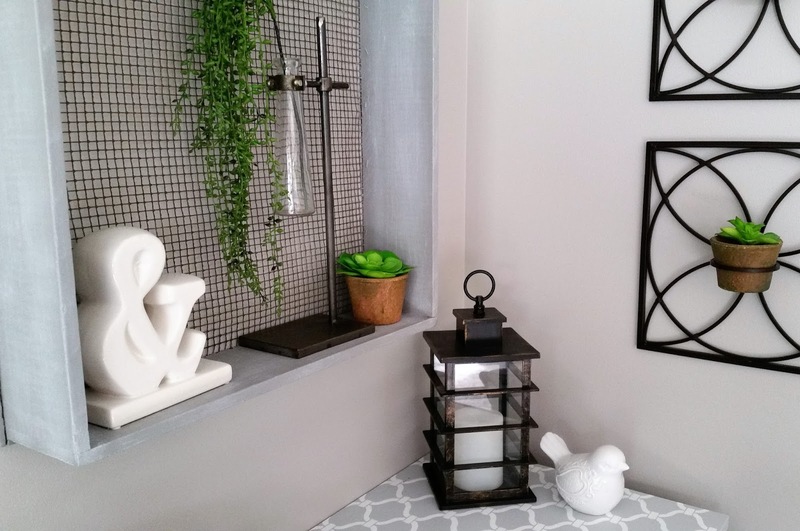 The entire space is neutral and calm. 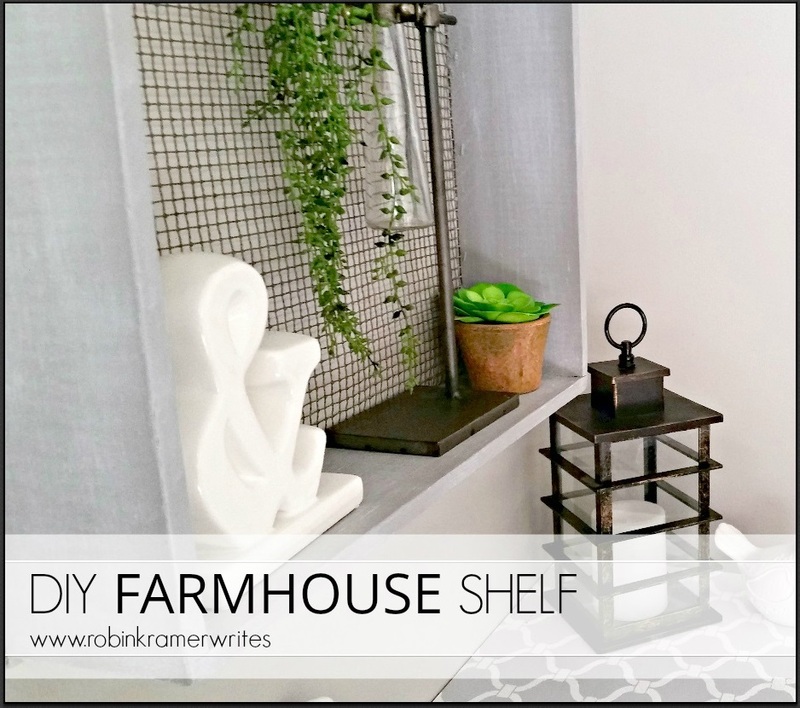 I love how the terracotta pots provide a pop of orange, how the greenery adds life, and how the repeating black metal accents provide contrast to the softer gray and white tones. 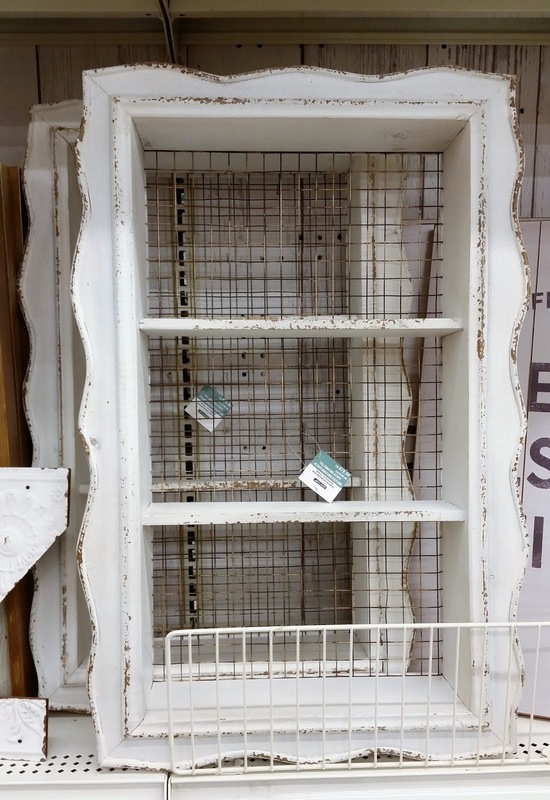 As added confirmation, I saw a similar wood-and-wire shelving unit at Michaels shortly after finishing my own piece. It has three separate shelves and a more decorative border, but it also was originally priced at $79.99. I tell you, it made my $2 investment seem all the more worthwhile. Do you love DIY transformations? Want to see more and be notified of new posts? Like Robin Kramer Writes on Facebook. Or follow me on Twitter. Or check me out on Pinterest. Golly, I'm also brand new to Instagram!